A new wireless controller could improve interaction in VR games by offering users a way to harness the power of their hand. 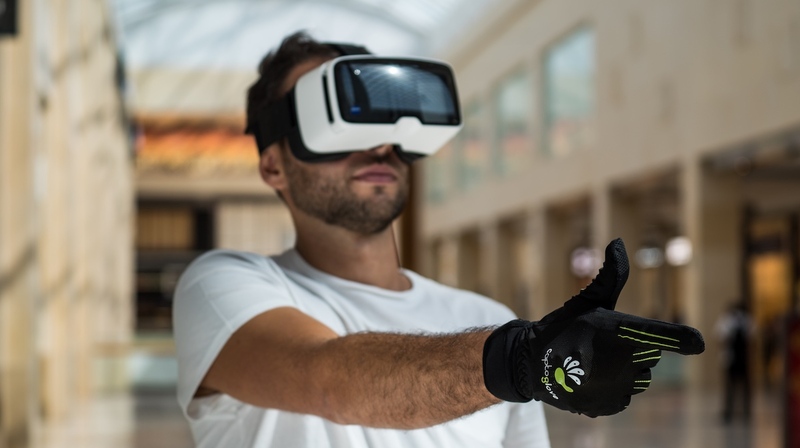 CaptoGlove has recently been launched on Kickstarter, hoping to lure punters into an alternative method of controlling their VR headset through a sensor-packed and washable textile. The device has been in development for around five years, working with Bluetooth and designed to be compatible with all VR headsets and iOS or Android smartphones. The company also claims it will be fit to work with all PC games from the past and present. "The human hand is the greatest controller in the world," said Paolo Trotta, CEO of CaptoGlove. "With CaptoGlove you can now extend that natural precision, response time and efficiency across a wide variety of tasks and devices." Gestures are customisable through a companion app available on your phone or PC, seemingly allowing you to switch things from first-person shooter to steering wheel. And as for the campaign, CaptoGlove is looking to raise $50,000 in order to ship the device. When it eventually retails, the price of one glove is expected to be $250. If you're interested in jumping aboard with it now, early bird offers start at $160. Interestingly, CaptoGlove indicates the lower tier units should be free to ship in May, which is a relatively rapid turnaround in the crowdfunding world. However, the device may not reach its full potential until the SDK for Unity 3D and Unreal Engine 4 become available between July and September.